Above every PS4 and Xbox One set up to demo Bandai Namco's Lords of the Fallen was a banner of a brooding white man with facial hair, tattoos, scars, and an equally gritty facial expression. 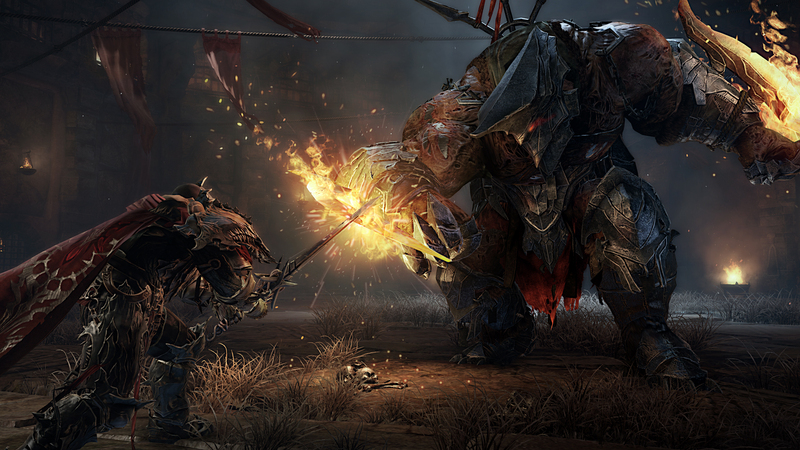 Lords of the Fallen is punishing. 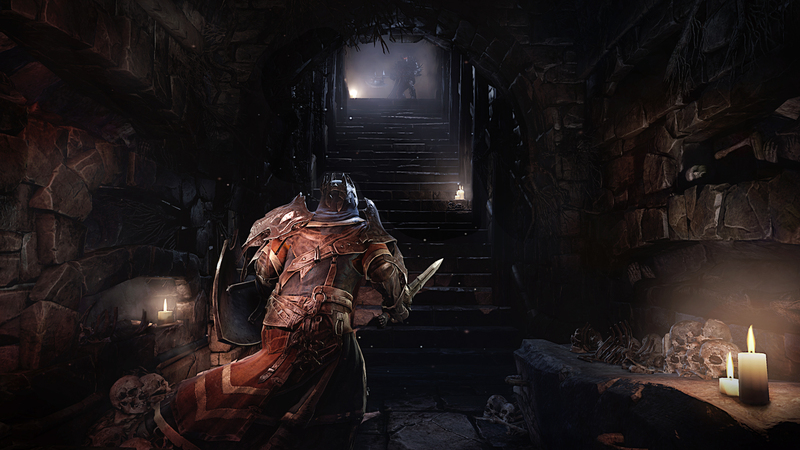 It's definitely difficult, making it a game Dark Souls fans will likely enjoy. Combat takes place in real time, and you have to move fast or get out of the way. Enemies are big, and they are strong. Charging in blind will leave you in a bloody mess. You play as Harkyn, a gritty, tattooed criminal who is the only person who can save the human realm from a god's army set on destruction. 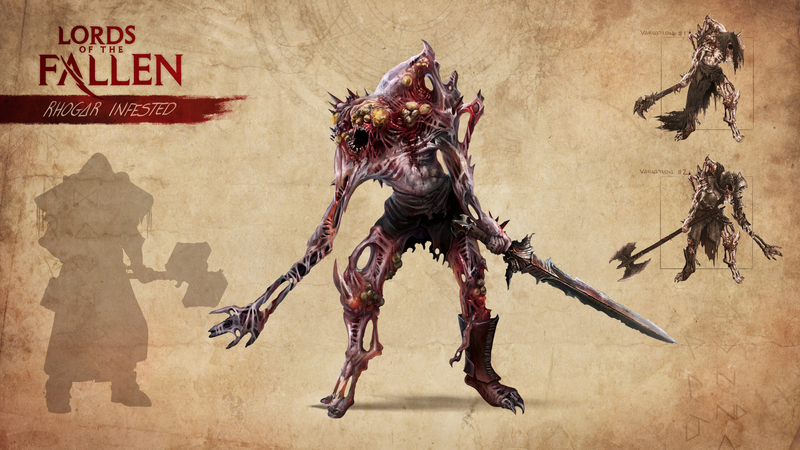 We've seen characters like Harkyn before, and we'll see them over and over again. The single time Lords of the Fallen engaged me was the first time I unleashed a slingshot-style fire blast that decimated foes. Most of the fighting plays out in close quarters, balancing quick strikes and slower, more powerful strikes, and finding the appropriate window for offense. I found Harkyn to be hulky and slow, making evasion a difficult task to master. Lords of the Fallen reminded me of a bigger version of Titan Souls, which I also previewed at this E3. The two have entirely different environments and mechanics, but the surface idea is similar: take down strong enemies On the surface, both games are similar. You can die easily, you're taking down huge enemies, and narrowly avoiding death gives an adrenaline rush to the player. Where they are different is how successful the game kept me going. 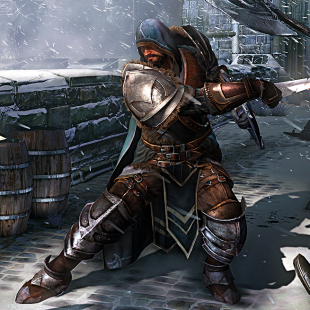 Dying in Lords of the Fallen didn't teach me best strategies or when and where to roll out of the way. After my experience with the demo, I set the controller down, and the only word that I could summon to mind to write in my notebook was "generic." 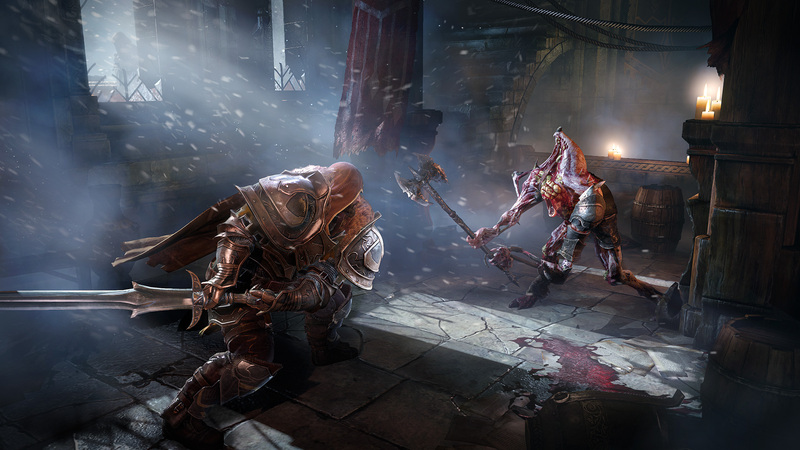 Like I said before, some players will love Lords of the Fallen; sadly, I did not. 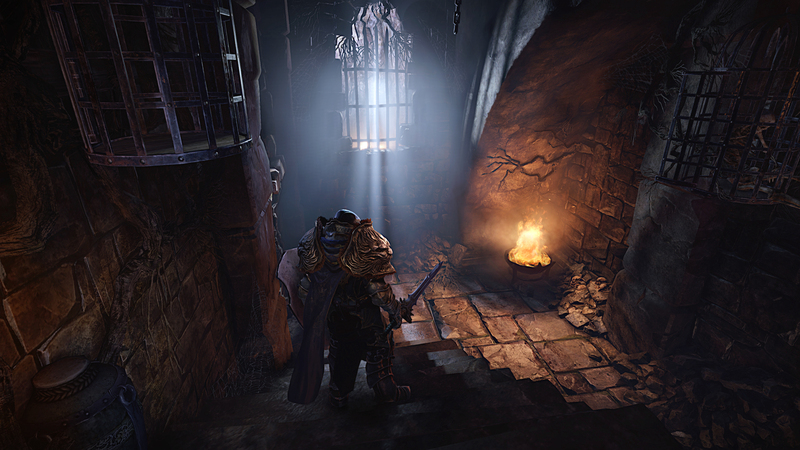 A post by CI Games executive producer Tomasz Gop on the PlayStation blog from April states Lords of the Fallen is "after something that will narrow the gap between mainstream and core players." As someone from the non-core player demographic, I couldn't possibly see past the gap because it was so wide. 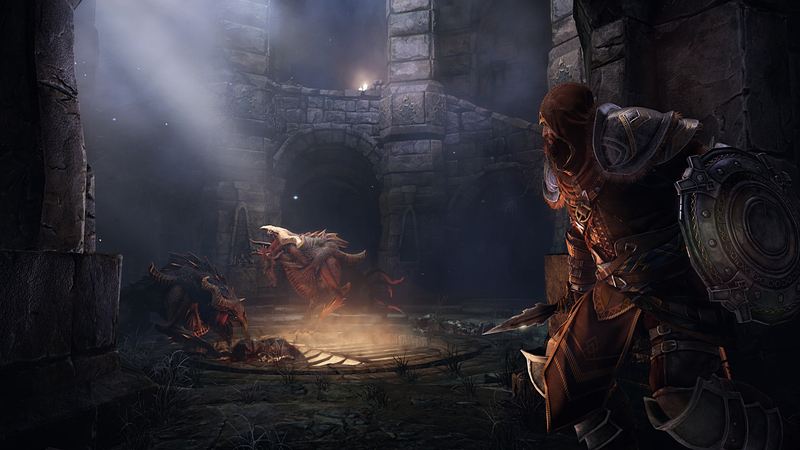 Lords of the Fallen doesn't unfold through traditional narrative, character-driven stories, or exploration. 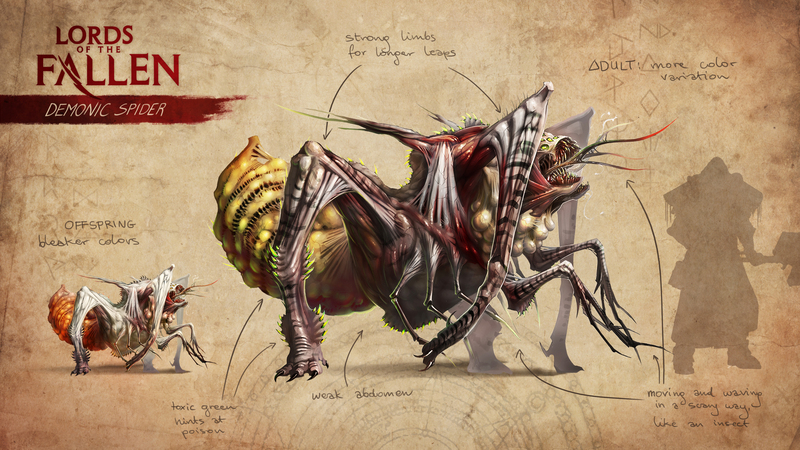 The game is combat-centric and mean; if that's what you care about, keep an eye on it. Should the beginning of the game throw a more encouraging bone to unfamiliar players, I would give it a second chance. 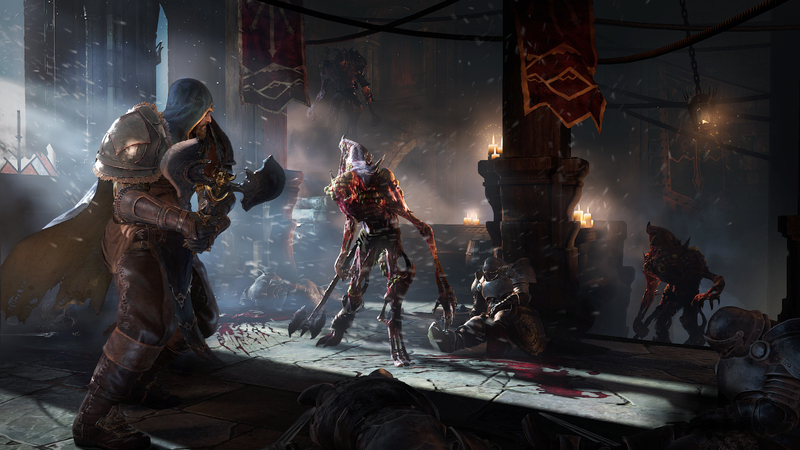 Lords of the Fallen hits PC, PS4, and Xbox One this fall.